Dream Home Remodeling gives you the peace of mind to make your home renovation a genuine dream. We are fully bonded, licensed & insured with over 20 Years of experience serving Los Angeles and the San Fernando Valley with additions, door and window replacement, room expansions, roofing, kitchen remodeling, bathroom remodeling, fireplace remodeling, custom driveways, swimming pools, statuary water gardens and fountains, sunrooms, patios, decks, gazebos. Dream Home Remodeling has the ability to help you plan and see your dream home before work begins with in-house designers, 3-Dimensional CAD Drawings (Computer Aided Design) and renderings, and floor plans. 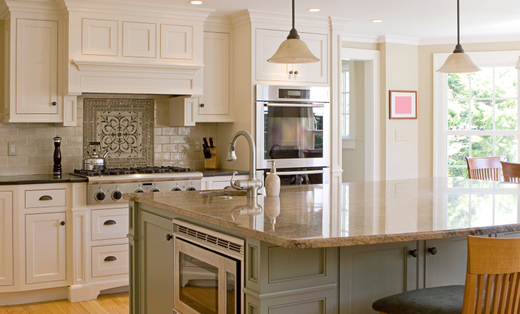 Additionally, Dream Home Remodeling has a no obligation free estimate and a no hidden fees. Dream Home remodeling is dedicated to making your next remodeling project a fantasy, not a nightmare. Dream Home Remodeling can remodel your home from top to bottom. This includes such works as complete renovation of your kitchen or bath. Room additions and expansions, installation of replacement windows, exterior coating, or putting on a new roof.